Founds Toyota Tsusho Mining Australia (Australia). Exceeds total of 1.4 million exported automobiles since establishment of Automobile Department. Founds joint venture company Watchman. Becomes clearing member of LME (London Metal Exchange). Founds Indus Motor Company (Pakistan). Founds Toyota Tsusho Astra Exports (Indonesia). Establishes first Toyota Authorized Service Station in Soviet Union. Founds joint venture company Toyota de Angola Sarl (Angola). Establishes new company logo and logotype. 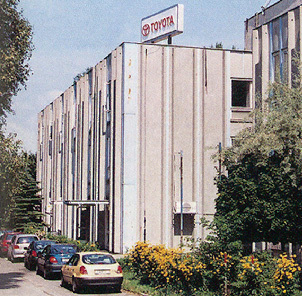 Founds Toyota Motor Hungary (Hungary) through a joint venture with Toyota. 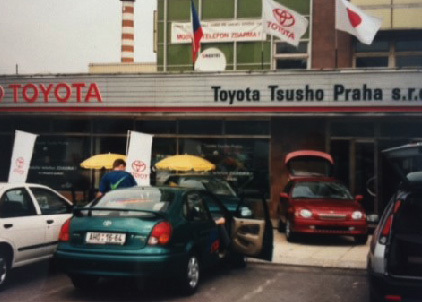 Founds Toyota Tsusho Praha (Czechoslovakia). Founds OYL Steel Center (Malaysia) through a joint venture with OYL. Founds Shenyang Sanyo Air Conditioning, Ltd. (China) through joint venture with Sanyo Electric. 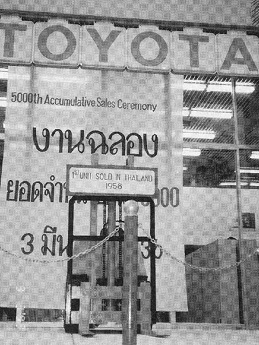 TTTC (Thailand) achieves accumulative sale of 5,000 Toyota forklifts. Establishes offices in four central Asian countries of Kazakhstan, Uzbekistan, Kyrgyzstan, and Turkmenistan. Founds Hefei Sanyo Washing Machines, Ltd. (China) through joint venture with Sanyo Electric. 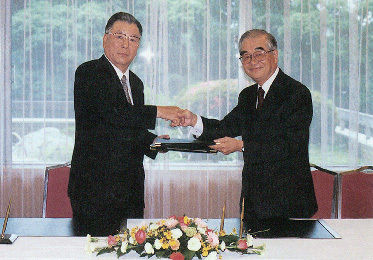 Toyota Commemorative Museum of Industry and Technology completed by 13 Toyota Group companies. 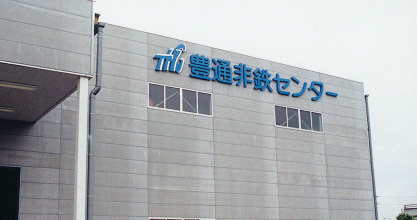 Founds Toyota Tsusho (Shanghai) Co., Ltd. (China). Founds Tianjin Toyota Steel Center (China). 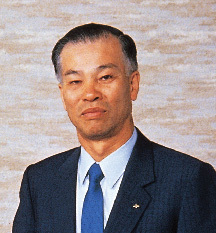 Appoints Eizo Takeyama president & CEO. 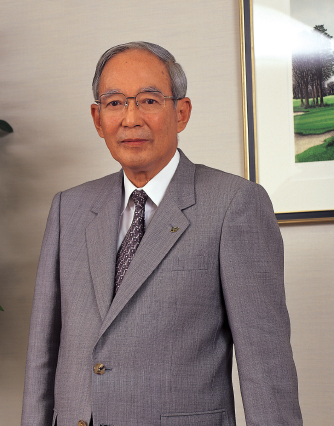 Toyotsu Finance deals with loss of 38.5 billion yen. Founds Missouri Smelting Technology (U.S.). Founds Harbin Toyota Hirotoyo Service, Ltd. (China). 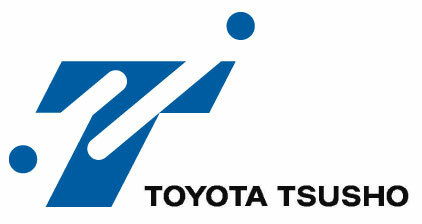 Founds Toyota Tsusho (Tianjin) Co., Ltd. (China). 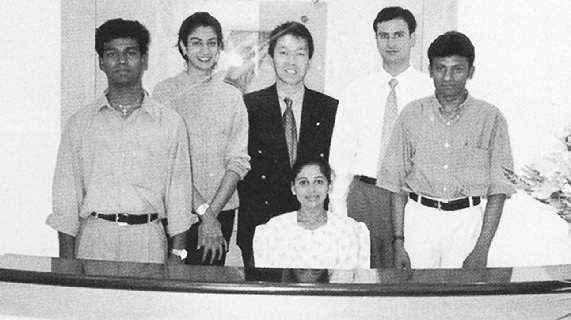 Establishes Bangalore Overseas Office (India). 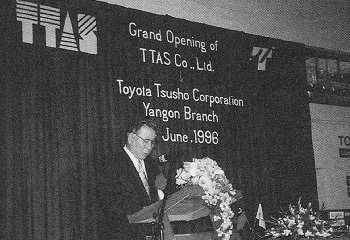 Founds Toyota Tsusho (Guangzhou) Co., Ltd. (China). 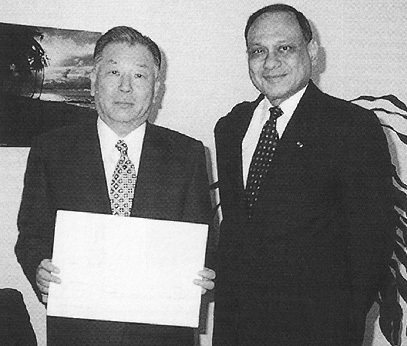 President & CEO Eizo Takeyama becomes Nicaragua's honorary consul. 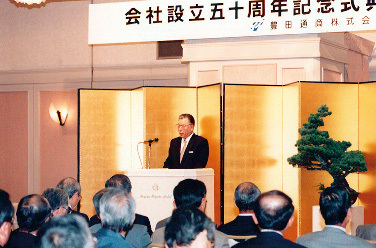 Holds celebration for 50th year anniversary of Toyota Tsusho's foundation. 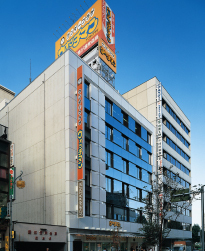 Becomes sole agent in Japan for 3D printers made by Z Corporation of U.S. 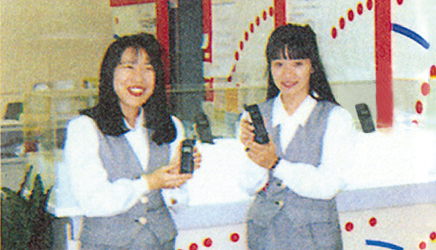 Creates a business partnership with Kasho. 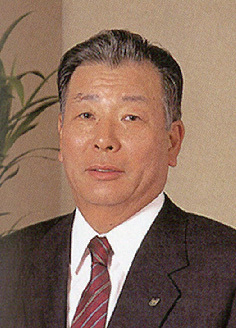 Appoints Hiroshi Chiwa president & CEO.